Endoscopic technique made the mid face lift possible. As we age the Midface (the cheek soft tissue pad) drops producing deep nasolabial grooves (grooves between the nose and mouth), and sunken and doubled cheeks. The face goes from being heart shaped with the volume of the cheeks over the cheek bones, to being more square shaped and jowly. Dr. Karacaoglu performs an Endoscopic Midface Lift through the same small incisions in the scalp the size of a drinking straw. Endoscopic Mid Face Lift offers an effective alternative to the Traditional (standard ) Facelift. As one ages, gravity causes the facial tissues to droop in a vertical direction. 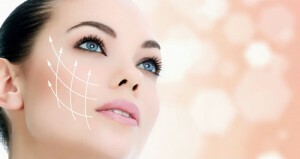 This less invasive facelift technique combines repositioning of the orbital and buccal fat pads (deep fat pads in the face) over the cheeks, hollows under the eyes and smile line areas. It restores a youthful, heart shape face. Old face lifting techniques with larger incisions did not restore the youthful volume in the arc of the eyes and the cheeks. We call this technique the Scarless Face Lift. Who is the ideal candidate for an Endoscopic Mid Facelift? Any patient between 30-50 years old might be ideal candidate to reposition sagging midface tissues and fat pads. Often, these changes are seen in the late 30s and onwards, as a result of heredity. The beauty of this procedure is that the face is strengthened in multiple layers during an Endoscopic Mid Facelift. The flexibility of this procedure allows it to be custom designed to suit your needs at any age. Am I am a candidate for an Endoscopic Mid Facelift? An individual consultation with Dr Karacaoglu is the best way to determine which procedure is best suited to meet your goals. During this consultation, the surgeon will examine you, and before and after samples from repertoire of your surgeon will be shown to demonstrate proposed changes to you. This can vary from individual to individual. Generally speaking, it takes two weeks for most of the swelling and any bruising to resolve. When an Endoscopic Mid Face lift is performed, there is some cheek swelling that persists for about 3 weeks after the procedure. There are a couple of points needed to be stressed in that sense. A facelift definitely will make you look younger. However, aging is continuos and you will continue to age even after the procedure. But this procedure will be setting the clock back on the aging calendar. Some studies on this particular issue showed that after endoscopic mid face lifting you will look 7-8 years younger than you would if you had not had the facelift. During an endoscopic mid face lifting drains are not used. Do I need someone to take care of me after my Endoscopic Mid Facelift? You will need someone to help you for one or two days after the procedure. If a supportive friend or family member is not available, then home nursing can be arranged through our office. What kind of anesthesia is utilized during an Endoscopic Mid Facelift? General anesthesia is used most commonly. Am I going to bruise after an Endoscopic Mid Facelift? This varies from individual to individual. Because the endoscopic facelift technique requires good visualization during the surgery, bleeding is kept to a minimal. As a result, bruising is minimized. Your Board Certified Plastic Surgeon use fine, delicate sutures to close all incisions. The majority of these are dissolvable. The remaining sutures which around are removed about 6 days after the surgery. All procedures are performed at our JCI Accredited Hospital. The hospital and all the doctors working in the hospital are fully certified by Joint Commission International. When I can workout after an Endoscopic Mid Facelift? You will be able to resume walking exercises about 3 days after surgery. You will be able to start running and weight training after two weeks, and advance from there. Ideally, we recommend coloring your hair a couple of days before your endoscopic mid face lift. You can color it again 3 weeks after your surgery. Is an Endoscopic Mid Facelift painful? Most patients complain of a tight sensation, temporary numbness, and slight discomfort. Pain is uncommon after endoscopic mid face lifting. We will provide you with a comprehensive list of medications (both prescription and non-prescription) that are known to increase bleeding and affect wound healing after surgery. These should be stopped about 8 days before your procedure.